You probably already heard that technology has made humanity lazy, but many applications and gadgets available today can prove the opposite. 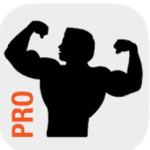 For, example, bodybuilding applications are created to help modern users stay fit and sporty. So give up boring workouts and download these applications – it’s time to sweat thoroughly. AtletIQ is a unique program for creating training programs and general control of the training process for the quick achievement of the goal. Anyone can create an account, then enter all the necessary data, select a training program in accordance with its purpose and start training. An intelligent control system of the training process AtletIQ offers a choice of training programs. All programs are divided into three different groups – for beginners, for advanced athletes and professional athletes. The service offers a large number of exercises with a detailed description of the technique of their implementation, understandable even for beginners, and a base of training programs for athletes of various levels of training. 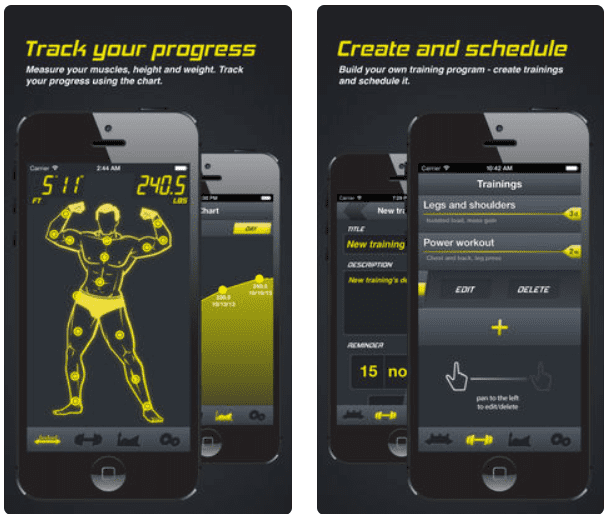 Downloading the application to your smartphone, any user will control his training process. 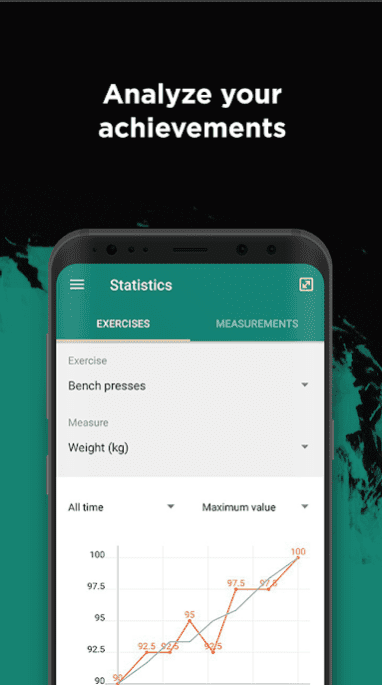 With the help of this mobile assistant, the athlete can not only use the stopwatch but also use tips to set the desired weight, the number of approaches and repetitions and the length of the rest. At any time, every user-athlete can open a report on the work done, where all the necessary information is stored and can be used for further progress in the gym. Gaming motivation in AtletIQ. Any user who controls his achievements with the help of the service has a unique opportunity to mark his results with virtual awards. Thus, any athlete can receive another reward and share the event with his friends. 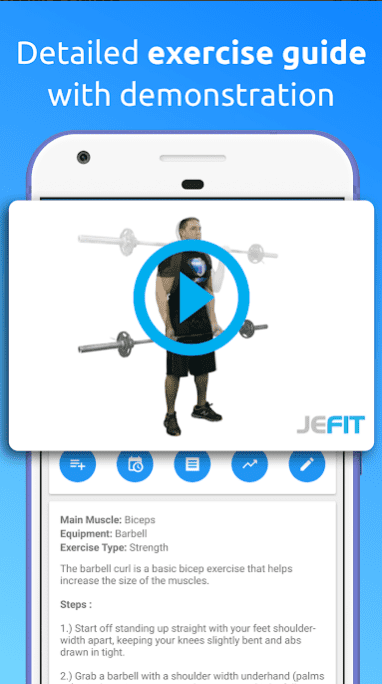 This is a training diary and your personal trainer on the one hand, and a vast base of different exercises, on the other hand, composed by both professional trainers and users of the application. It is an assistant in the planning of the workouts and a detailed statistics of your progress. These are small visual instructions with which you can have an idea of how to properly do this or that exercise. 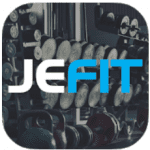 JEFIT will help you stay in better shape and get the most out of your workouts. This personal trainer will improve your athletic skills. This is the only program that is intended for all levels of trainers, from the first to the professional level for weightlifters and bodybuilders. You can use the application in automatic mode without connecting to the Internet. Key features of the utility include ease of use, downloading training history, using the timer, the ability to focus on real exercises and make quick notes. Here you will find an impressive base, which consists of 1,300 exercises with video demonstrations. Now you can plan your sports activities, set goals, download plans and set up workouts with different time intervals for rest. 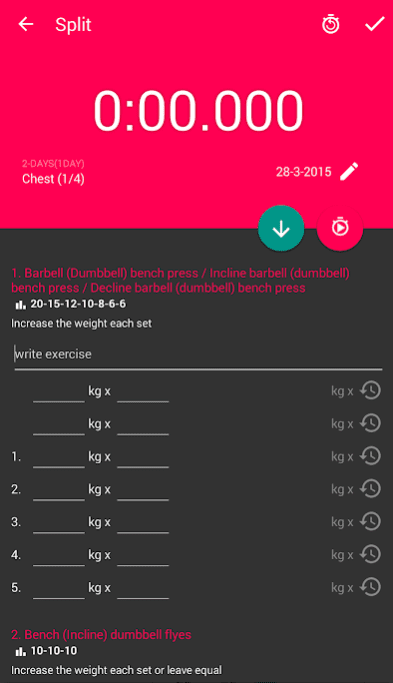 The GymBoom training diary will help to make workouts as effective as possible, to track your progress. This application has a wide functionality and a lot of theory, which will help to organize the training process competently. On the main screen, you will see the calendar, training statistics, paid exercise complexes and quotes of famous athletes for motivation. When you install the application, the calendar automatically displays the completed and planned training as examples that should help you understand the program. 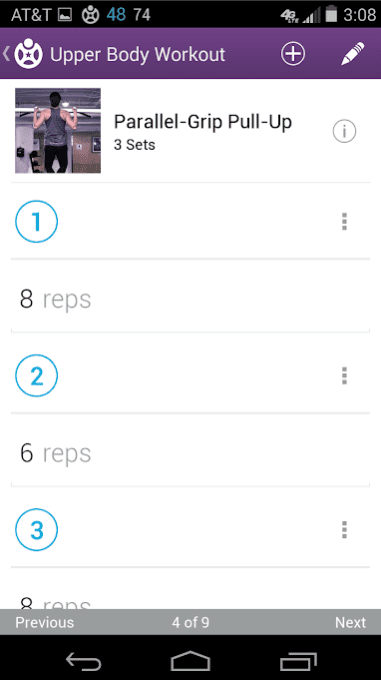 In the Workout Process section, you can view completed and planned training sessions, create exercises and combine them into complexes. Initially, several exercises are provided, accompanied by a detailed description of the technique, tips, and schemes. In addition, there are three ready-made complexes. Progress can be monitored using the Measurements section, where you save various indicators and photographs, and Statistics, which is displayed both for the exercises performed and for measurements. For various notes and comments, Notepad is offered. 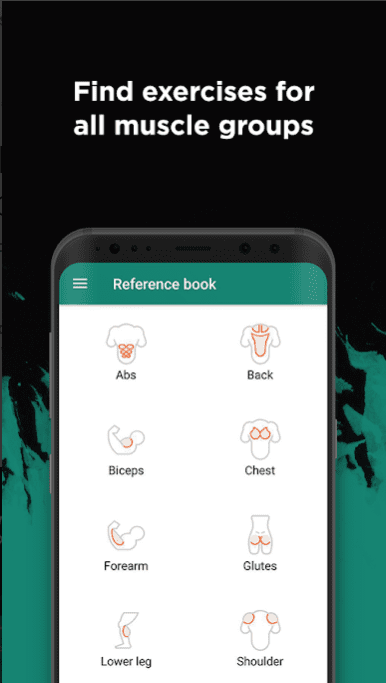 In the Reference section, you will find a lot of useful information about the types of exercises, training process, nutrition, and useful articles on other topics. So the training diary GymBoom is suitable even for those who are just starting to go in for sports. The user has ample opportunities to customize the application. Among the shortcomings, one can note the presence of advertising, which is easily solved with the help of small payment, which also unlocks a number of additional functions. In addition, the application offers a variety of paid training packages. 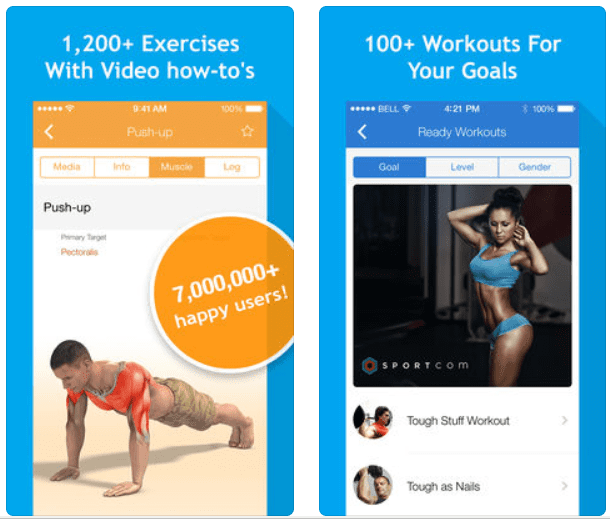 The Fitness Buddy application has a giant exercise base, which is free to use. 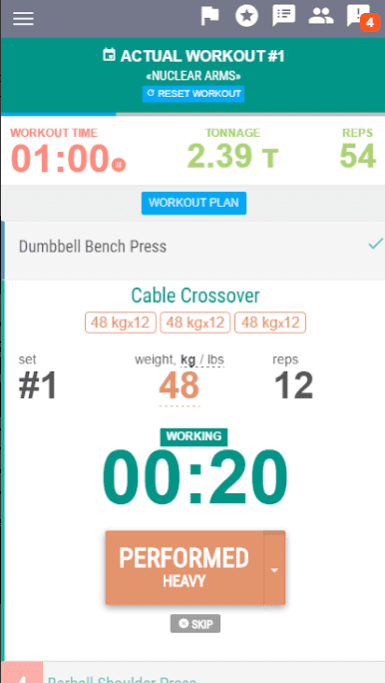 In the premium version, you can create training plans, but in practice, it’s much easier to write exercises into standard “notes” and then look in Fitness Buddy to see how to do this or that exercise. Animation of exercises will be understandable even for beginners. Each exercise is written step by step: it will be very difficult to make a mistake. In addition, the exercises are subject to ranking – you can choose only those that contribute to the growth of pectoral muscles, and you can confine yourself to those that are done with weights or an expander. Periodically, the program begins to bother invitations to enroll in the club of workouts, but all notifications are closed in one click. We can note that the app has poor settings, but for a free version special regulators are not required: the main thing is to compose the training plan and strictly observe it. 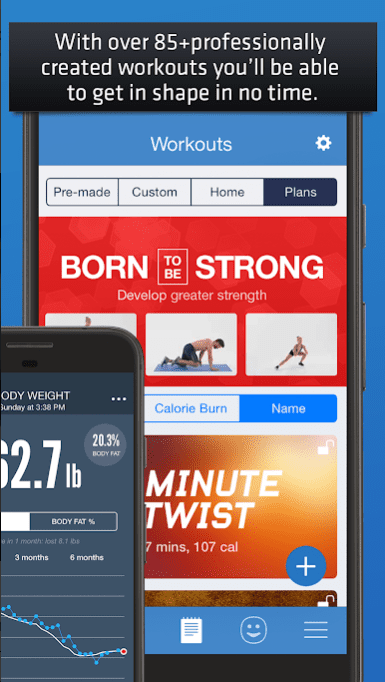 Fitness Point Pro is a great program for Android and iOS devices that will help you set up your personal training plan for a gym or at home! In the application, there is a large number of exercises that you can include in your training. Also in the program, there are already prepared programs, which you can use too! The program will also show you the graph of your progress, help you control the rest time between the approaches and much more! 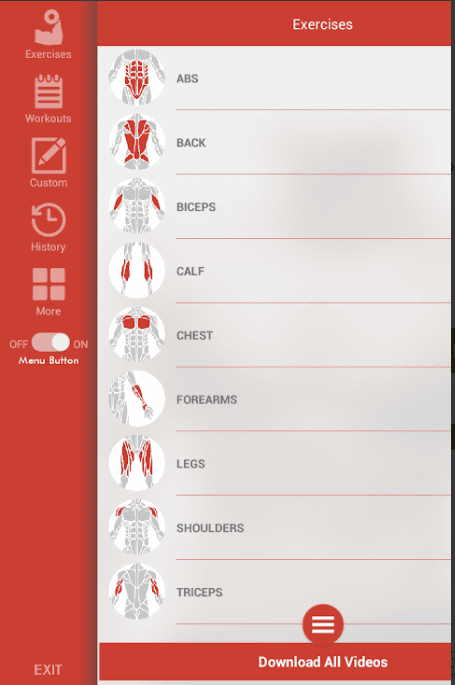 In the application, there is a huge set of exercises for different muscle groups that you can use in your workouts. Exercises are presented in an understandable form with a title, that is, you can view a list of exercises and choose what you like more. After viewing a certain number of exercises, you can create your own plan for training. To do this, go to the required exercise and add it to the plan. When you add a sufficient number of exercises, the program will create a work plan for you – the number of approaches, repetitions, which groups of muscles will work in one day, and which ones in the other. You will have a professional plan for the gym without the help of anyone. In this case, you can correct it yourself, if something is wrong with it. The application is constantly updated, new useful functions are added and the wishes of users are taken into account. It should be noted that in the application there is no banner advertising and annoying links. 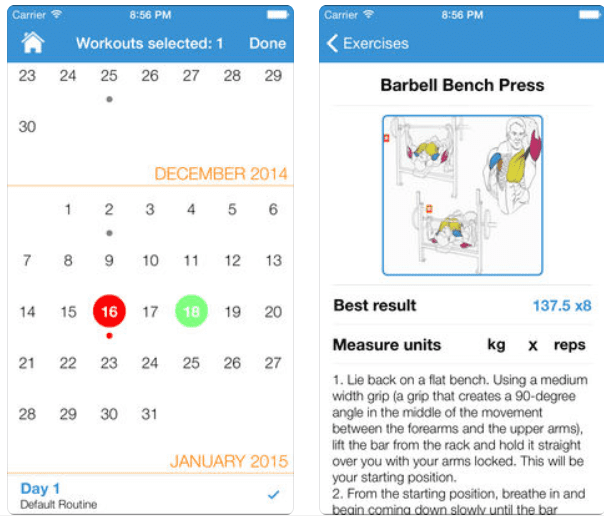 There are two versions of the application – Fitness Point and Fitness Point PRO. 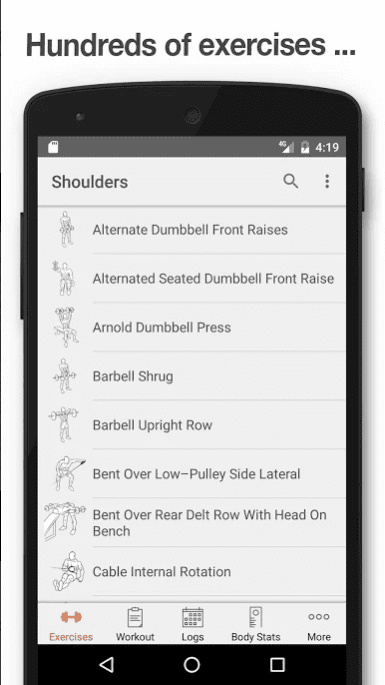 You can test the usual version, which includes 70 exercises with a description, a training log, and all the main functions. All this is absolutely free. 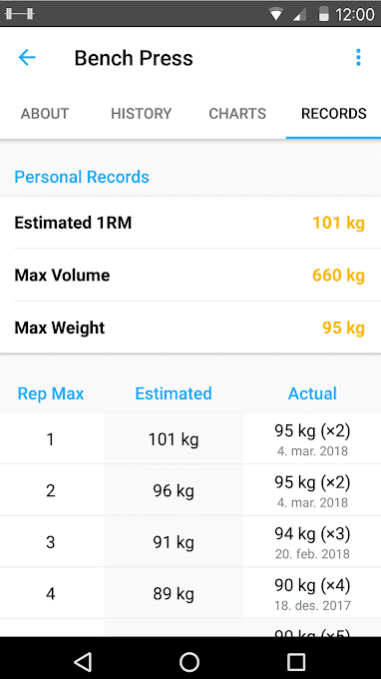 If you like the application, you can also purchase a paid version (exporting all data from the free version), which already includes more exercises, and several functions such as export, weight tracker, and others. Fitness Coach FitProSport is one of those applications that will help to keep the muscles and body in shape. The application is convenient and easy to use. To start the training, you do not need to register or enter any data. It is worth noting that not only the portrait but also the landscape orientation of the screen is available. 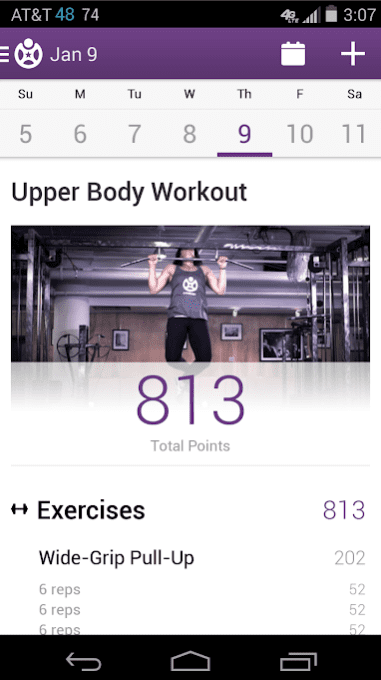 Thus, using FitProSport will be convenient both on smartphones and on tablets. In the Exercises section, there are more than 100 exercises grouped by the involved muscles. Each of them is accompanied by a description and detailed animation, which helps to quickly navigate in the correct implementation. Given such an amount of exercise, a search is provided. You can save a completed exercise or a separate exercise in the log, all the data will be displayed in the Results section by days. 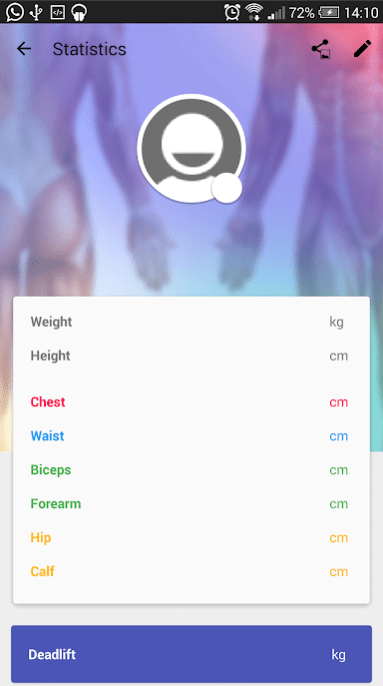 After installing the application, only weight is present in the Body measurements tab, but you can add other parameters yourself by specifying the name and selecting the unit of measurement. One of the disadvantages of the application is the presence of advertising and the limitations of the free version. Of course, you would like to see the main functions available in the free version of the application, but on the other hand, the full version is not that expensive and at the same time significantly expands the user’s capabilities. There is no annoying advertising, it provides access to more than 250 exercises, additional training programs, tracks progress with the help of training and body measurements charts, and also has an integrated timer and stopwatch. 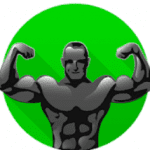 The bodybuilding application offers a variety of exercises depending on the level of your physical fitness and activity. After passing a simple registration and answering the standard questions about your goals, you can choose whether to use a free version of the app or the services of a personal trainer. However, you can choose a free version. It contains enough exercise techniques that you can perform at any time convenient for you. 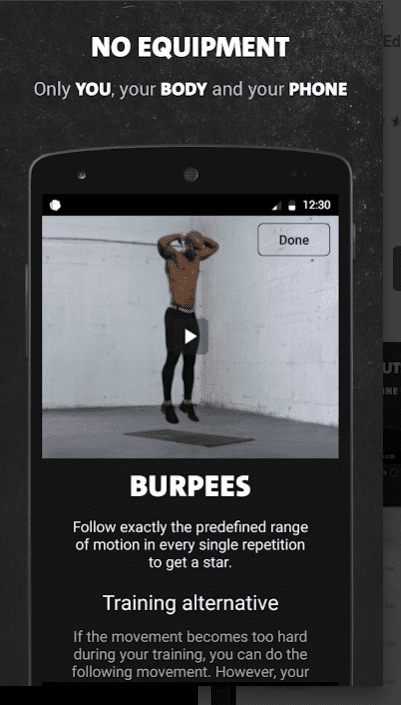 Freeletics will create for you a trial exercise in two approaches. With the help of an instructor who visually shows you the techniques of exercises, you perform tasks, evaluate your technique and get points in reward. Unlike most applications that clearly assign the time of each exercise, Freeletics allows you to specify only the total duration of the workout from 5 to 45 minutes. Then, the application calculates how much time you have spent on a particular activity, and save the results in your personal account. Your personal level develops from the points received and time. Regular classes help you to rise higher in the rating of Freeletics, set new goals, assign more complex training. In addition, you can compete not only with yourself, but with representatives of a huge community of Freeletics. Add athletes whose successes you are interested in, and try to surpass their achievements to become the absolute Freeletics champion. A rather remarkable and useful function of the application is help in finding places for training. 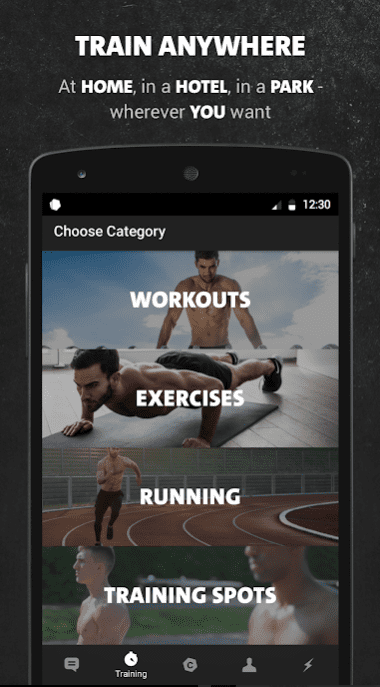 Based on geo-tags of users, Freeletics finds the nearest stadiums, treadmills, and even parks. Strong is suitable for both beginners and real hard-working monsters of the gym. 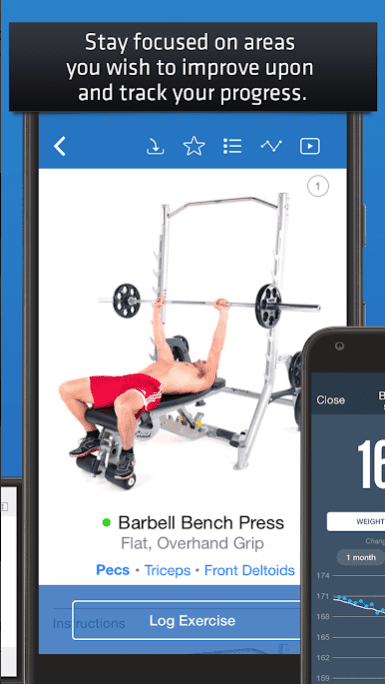 This application has a simple and intuitive interface that allows you to quickly add the exercises you need. In addition, Strong stores a full history of training, as well as personal records for each exercise. Here you can get various achievements on the way to a healthy and beautiful body. 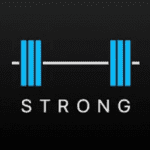 One of the most interesting features of Strong is the workout calculator, which will tell you which weight you should choose for warming up your muscles before training. Not every one of us, despite a poor physical condition, can force himself to practice regularly in the gym. Many just do not have enough motivation. That’s why there are personal training sessions, when the coach constantly cheers you up, does not let you stop and helps to move in the right direction. But besides the coach, there are other ways of motivation – perfectly developed applications. One of them is Fitocracy. The application is like a social network, only for sports people. You fill in the profile, indicate your height, weight and body condition (only honestly, we try for ourselves). And then we can make friends, follow their results, give useful advice and encourage them with various compliments. In addition, after performing certain exercises, you will gain points and receive virtual trophies, which are an integral part of the excellent motivation. Among the exercises, you can choose the ones you need and perform them daily or at regular intervals. 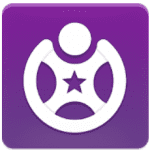 It is always pleasant to go in the gym together, and with Fitocracy at your disposal, there will be a lot of people who are trying to achieve the same goal as you. 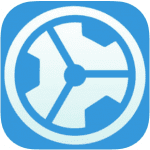 Excellent application, we recommend everyone! 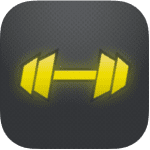 iGym is the most popular, judging by the number of downloads, program for recording workouts. 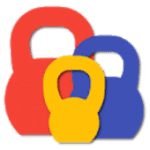 iGym has a free and paid version. There is almost everything you can dream about: the base of exercises, the creation of your program, two pre-installed standard programs, training with a built-in rest timer, a training log, a progress chart. 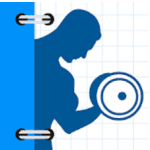 iGym has its own base of a couple of hundred exercises, from which you can create training days. There are already three workouts that can be used as a basis. 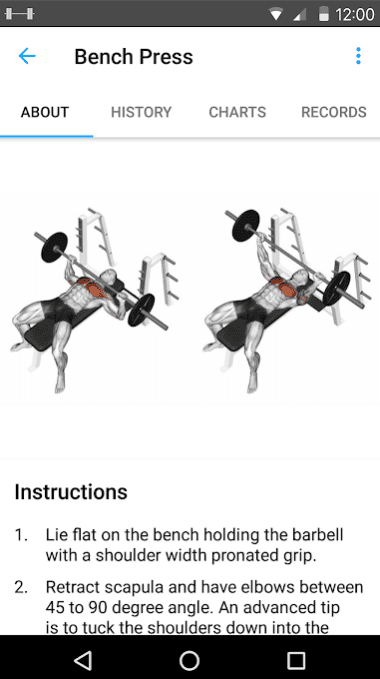 In the PRO version, you can create supersets of exercises – this is when you first do one exercise, and then another one immediately, and this is counted as one approach. The interface, however, is not always intuitive. In the part where you press the “start” and train, everything is fine. But if, for example, you have to watch one of the past training – prepare for unobvious access: you click on the day, click on the name of the workout, press “ready” – instead of going to training simply by pressing the day. iGym is suitable for those who have long been practicing independently and know what, how and when to do. Or to those who train with the coach. 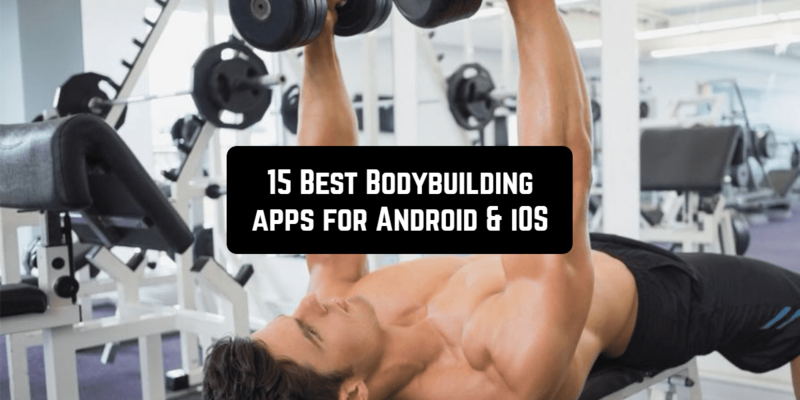 Fitness and Bodybuilding is the application for Android which will help you achieve the colossal results with the selected workouts and create the body of your dreams. Train your body to the limits, which you have long dreamed of. 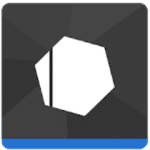 This application for Android includes a lot of features that will help you with this. 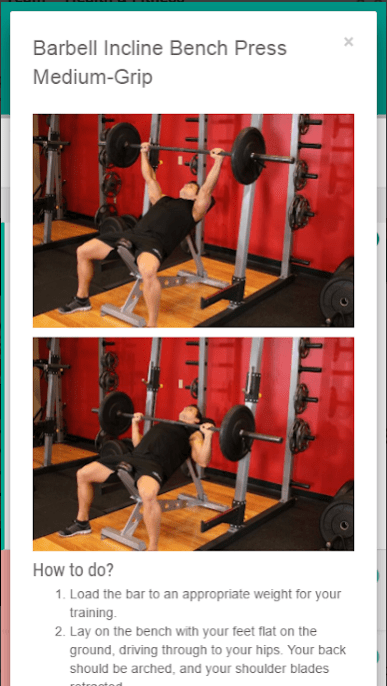 Here you can use a huge database of exercises with detailed descriptions of each movement, tips, and video instructions – all for maximum results. There are three most important functions of the application that worth to be mentioned here. Exercises contain a complex of exercises for each group of muscles of your body. In each category, there are many exercises with step-by-step descriptions and a picture showing the involved muscle groups. The Custom section allows you to choose and conduct complex training, and in the Workouts, you can plan a personal schedule of classes and adjust the level of the load based on your body parameters and progress. Choose a new direction in life, become better, stronger and healthier! 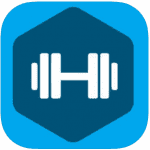 It’s not just an application for sorting exercises for classes; this is a whole combine for every possible tracking of your success in fitness classes: from building a training program with certain exercises to statistics on the amount of water drunk per day. Training. 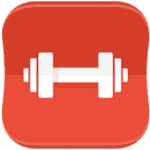 After tapping on this icon, two submenus are opened, and the first one is Activities, which lists all possible ways of energy consumption and burning calories. When you select the desired action, you will be able to specify the duration of the activity, look at the number of calories spent during it, and mark it as “done” to enter information into your statistics or add to your training plan for the future. Workouts offer to choose one of the existing programs for both men and women, find the right workout using an advanced search or create your own. Thre are many ready programs, and each one has a short description. Each exercise specified in the program has a step-by-step description of the technique, the group of muscles involved and a short demonstration video that can be viewed only on the Internet. When you create your training plan, the icon will appear as a submenu along with the search. Clicking on it, you will go to the selection of the desired day, and then directly to the beginning of the workout. You can do it either by using a custom timer or by simply switching from exercise to exercise using the “Forward” and “Back” arrows. In addition to the built-in timer, a music player with the ability to customize playlists is also built in. At any time, the training can be marked as completed, after which it will be recorded in the journal for further statistics. Naturally, for fans of social networks, after the end, results can be shared on Twitter and Facebook. The training program can be uploaded to a PDF-file and then printed if it is more convenient for you. Gym Machine can be described as an ideal training log, which allows you to progress much more effectively. The application does not really offer any more functions, for example, directories or ready-made exercise programs are not here. 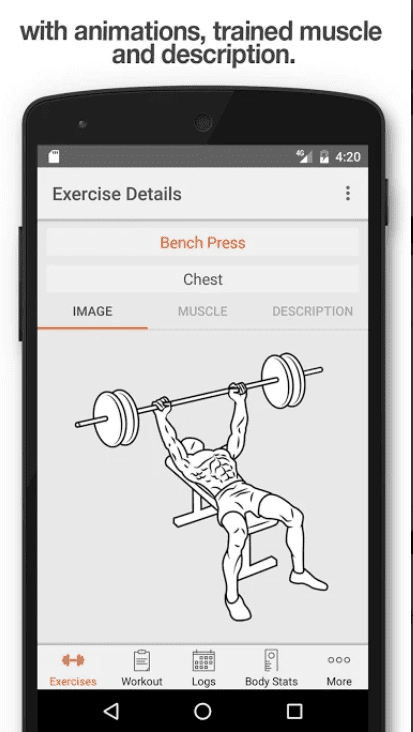 However, the regulars of gyms will appreciate Gym Machine, because only using this application you can fully customize the training process for yourself, indicating the exact personal data. You are to set the height, weight, and measurements of all parts of the body. Now you can update the data daily, the application will record your achievements and results. 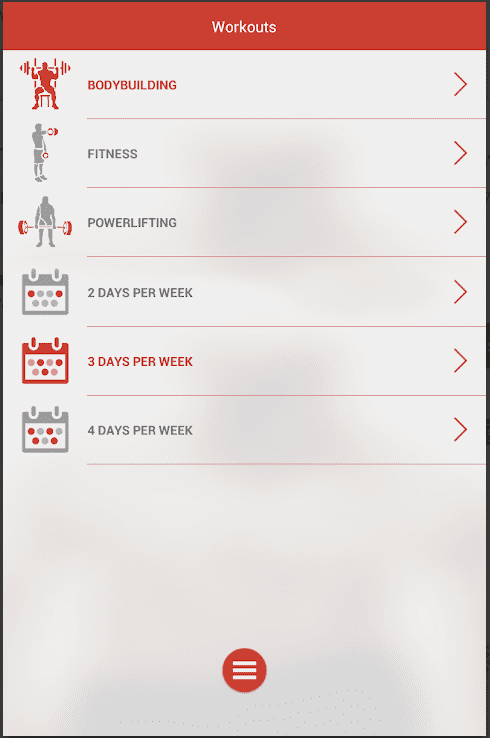 You can also log your workout schedule and track changes in weight. The application BodyBuilding is unlikely to be interesting for those who just want to lose weight, although the recommendations and advice can be useful to absolutely every person. 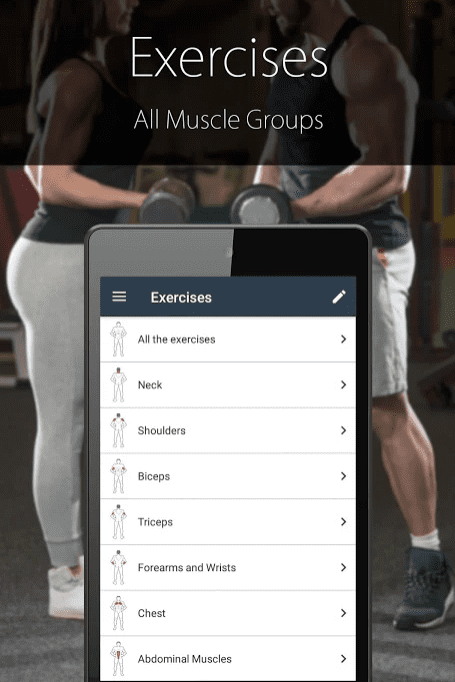 In the application, you can find detailed descriptions of the muscles involved in every exercise, as well as the diagrams of the exercises and tips for their implementation. Also, the application can record your statistics, so you can easily store your results. The application can be divided into three large sections. These are Exercises, Training, and Statistics. In the first section you will find exercises for each part of the body: chest, back, shoulders, arms, legs, and press. After selecting the desired muscle category, click on the arrow. You will be offered a list of exercises that train exactly this group of muscles, then you can choose one of the exercises. First of all, you will see the figure of a man in full growth, and the muscles that belong to the group you chose will be marked with the color. Below, you can read the decoding of colors, and then the exercise: the visual part, the technique of performing, the advice and importance of this group of muscles in sports. 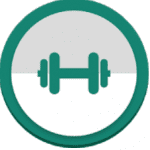 In the training section, you will already have prepared exercises that are suitable for those who actively train. There you will find a stopwatch and a complete statistics of the split. In the Statistics section, you will find your profile, which you can fill out in advance, as well as the results of the completed workouts. Everything works just fine, the application pleases with both appearance and functionality. Let’s sum up: the application Bodybuilding is perfect for anyone who is actively involved in sports or a beginner bodybuilder. Pleasant use! 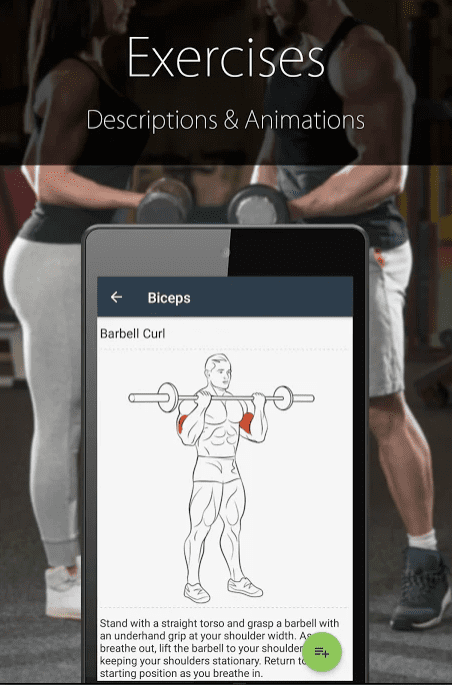 Bodybuilding and Fitness Camera is a simple photo editor for Android, aimed primarily at a radical or at least partial change of the figure. The application has a simple interface and modest design. There are different tabs that change shapes of your body, and a hundred extra options. Above, there is a huge area where you are allowed to completely change the appearance and view the work already done. The style of design is completely minimalistic, the main thing here is not stylistics, but capabilities. So, the Bodybuilding and Fitness Camera application suggests using the system of “artificial” muscle building and radical methods to remove excess weight. Of course, the idea is rather comic (although the implementation is amazing – with the proper skill it is possible to achieve really amazing results). There are several ways to change the figure – you can use special brushes for drawing, special tools for deforming pixels in selected locations and increasing individual parts of the body. In addition, a whole graph is available, changing brightness, contrast, saturation, blur and temperature – for added effect, you can impose an additional focus or shadow. Unfortunately, you will not achieve an ideal result at once. You should have a little practice at least, otherwise, everything will be extremely implausible. 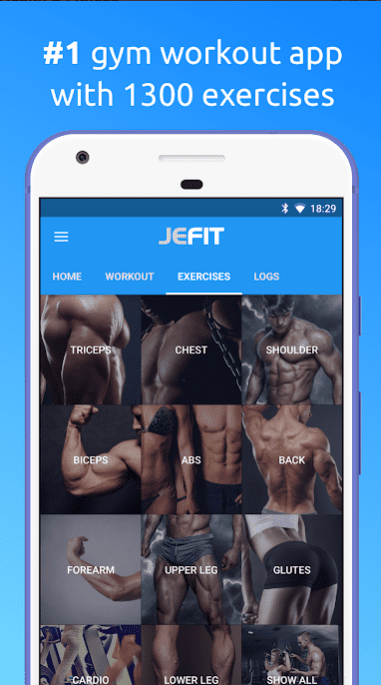 In a word, be sure to try the free application Bodybuilding and Fitness Camera for Android and temporarily, at least in the network turn into a sportsman or in beauty with an athletic figure!